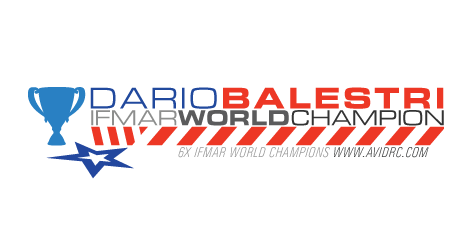 Congratulations to Dario Balestri for taking his first well deserved IFMAR world title in 1:8 Onroad. Dario joined the Avid team early in 2013 and felt he was on the path to securing this title after showing the pace to win at the last 3 world championships. We are proud and honored to have such a great team and having Dario secure our 6th IFMAR World Title leaves us here practically speechless.